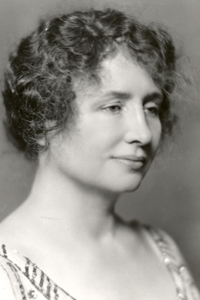 Dr. Marie Equi, was born in 1872 in New Bedford, Massachusetts but found fame in the Northwest as an activist in Portland, Oregon., where she became the first woman to graduate University of Oregon Medical School in 1903. 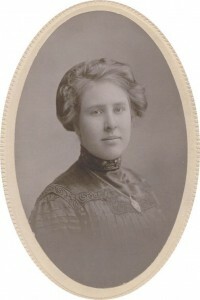 After supporting the Oregon Packing Plant strike in 1913, she contributed her speaking and organizing talents to the IWW local. It is interesting to note that as a professional, she was not allowed to become a dues paying member. 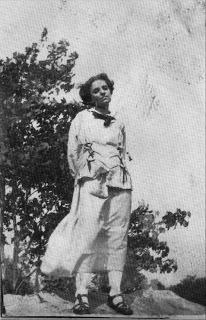 Equi became a close friend of Elizabeth Gurley Flynn, joining her on the platform, raising money for those jailed in the Everett free speech fight. 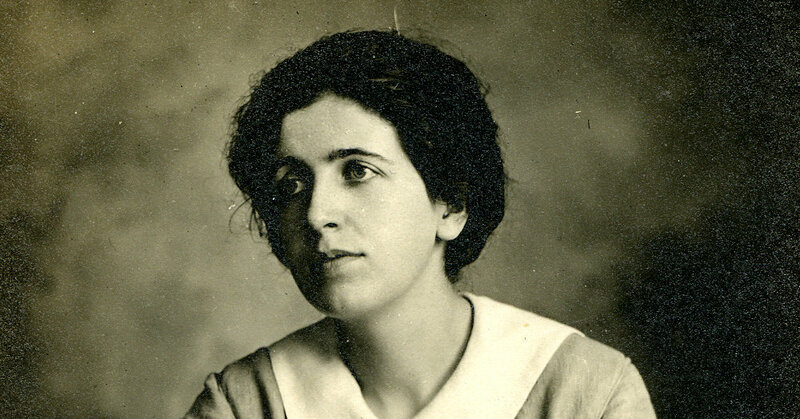 In 1906, at the age of 16, Elizabeth Gurley Flynn joined the Industrial Workers of the World, quickly becoming one of the organization’s star agitators. For the next five years, she crisscrossed the country, honing her rhetorical skills in strikes and free speech fights in dozens of states. 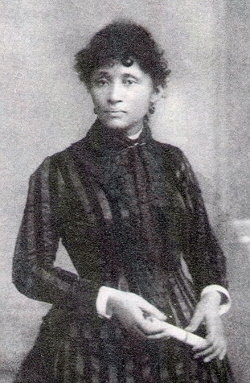 Throughout the summer and fall of 1911, she spent time in Lawrence, Massachusetts helping foreign-born woolen workers organize. When those workers stormed the streets of Lawrence in protest over a de facto pay cut in January of 1912, Gurley Flynn was immediately on the scene. Born 1853 in Texas. Anarchist, free speech and labor activist. Founding member of the IWW, advocated “propaganda by deed” appropriated into early Wobbly rhetoric. Ora Pearl McGill, born June 1894 in Iowa, began her career as a labor organizer while employed as a button worker in Muscatine. At the age of 17, Pearl was elected recording secretary and appointed to the executive committee of the Button Workers Protective Union (BWPU) No. 12854, an affiliate of the AFL. 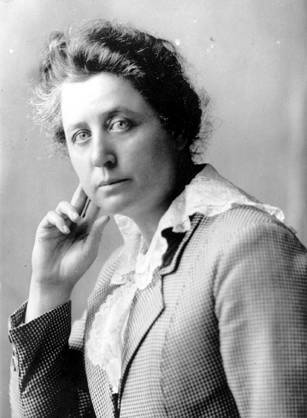 In 1911, she was identified as a “prominent delegate” to the annual convention of the Women’s Trade Union League, representing the Muscatine button-workers. 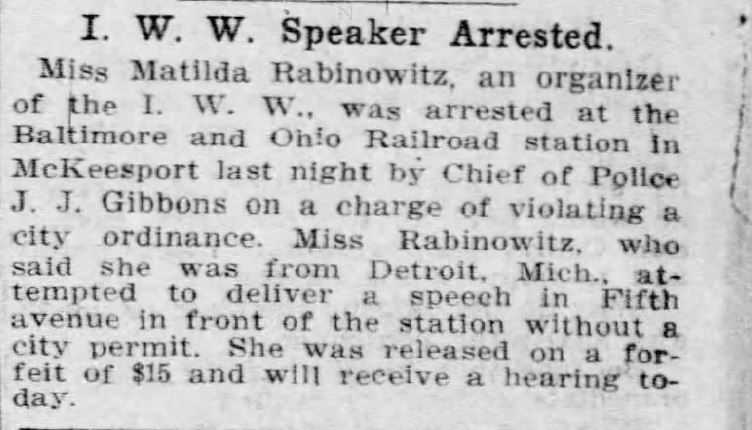 In 1912, she joined the IWW, agitating throughout Massachusetts. She first came to prominence as a Wobbly during the Lawrence “Bread & Roses” Strike. McGill spent the next several years in Massachusetts, organizing workers and raising funds for jailed IWW leaders Joseph Ettor & Arturo Giovannitti.